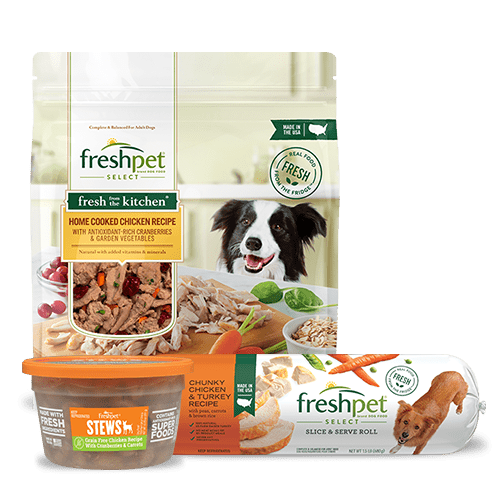 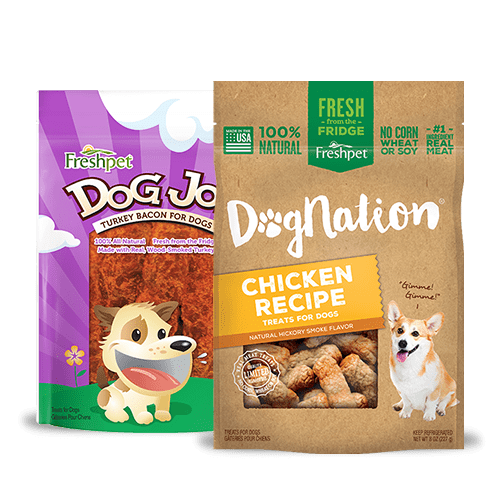 Meat Based – All Vital recipes consist of 80 percent or more fresh poultry, meat or fish, and include novel proteins, such as salmon and bison, for dogs with protein sensitivities. 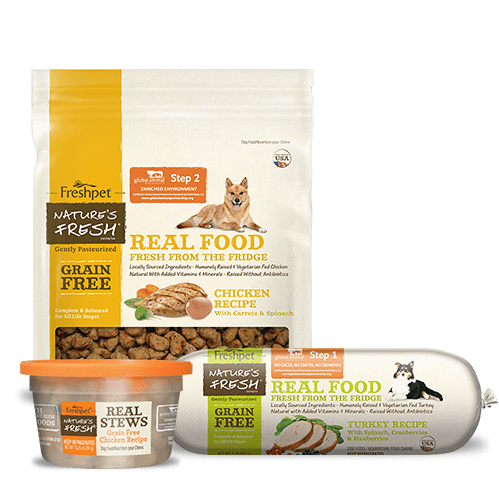 Grain-Free – This is especially beneficial to dogs with sensitivities to grains. 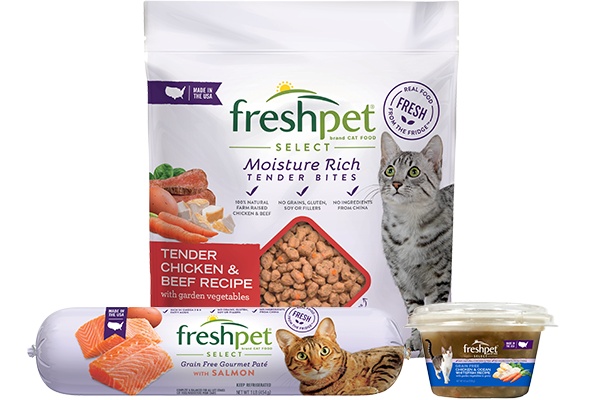 Pasteurized – The low-heat cooking process preserves the essential proteins and amino acids. 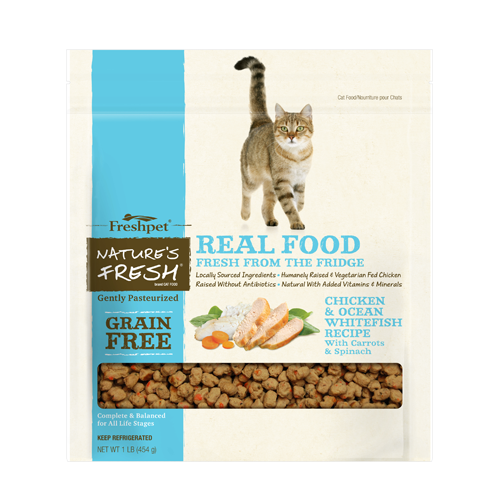 All products are refrigerated to maintain freshness. 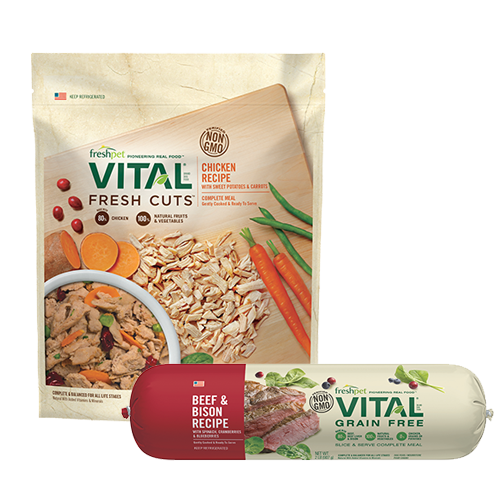 Vital foods are meat-based with added pomegranate, dark berries and leafy greens for antioxidant support. 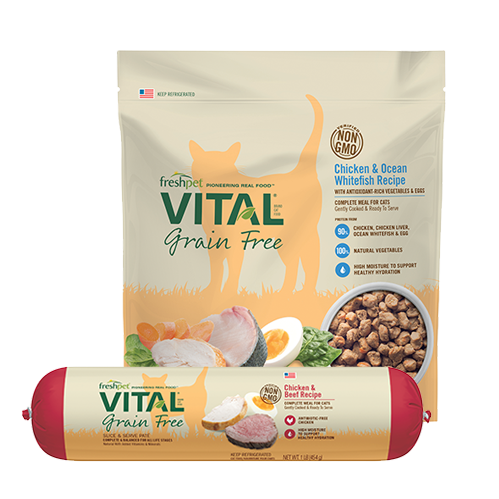 Additionally, a meat-only recipe is available to offer a wide spectrum of amino acids.